Fellowship and Meritorious Awards Conferred at 2015 AGM and Conf. The Communique of 30th AGM & Conf. 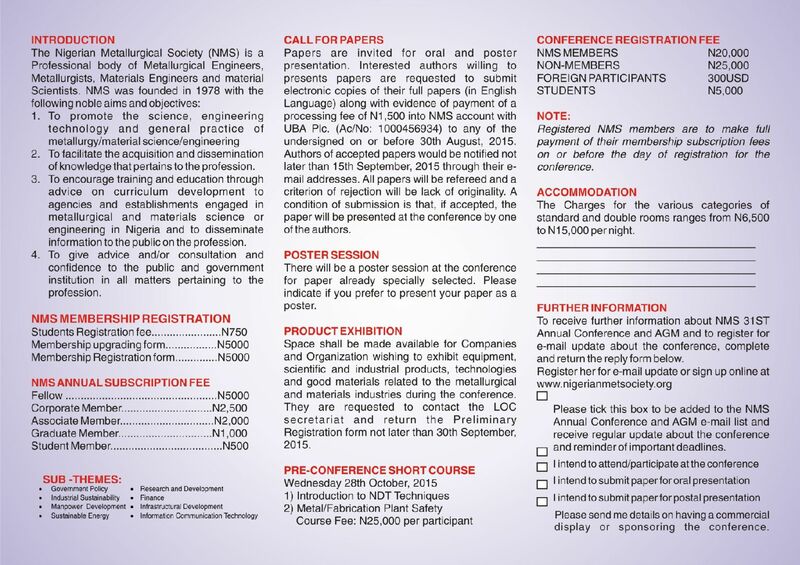 Invitation to attend 2015 Conference & AGM, Abuja. 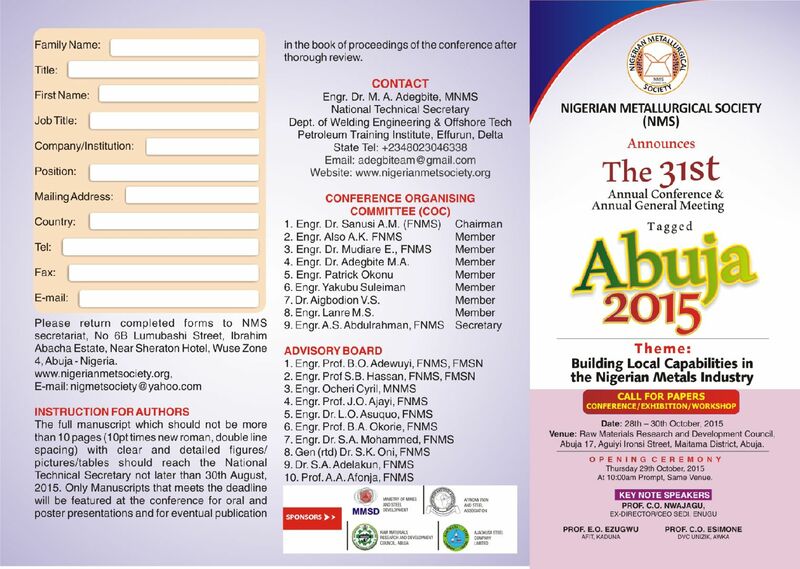 Welcome address by the President at the NMS 28th annual conference/AGM – Engr. (Dr.) Linus Asuquo, FNMS, FNSE. Speech delivered by Arc. M. Sada; Hon. Minister of Mines & Steel dev. 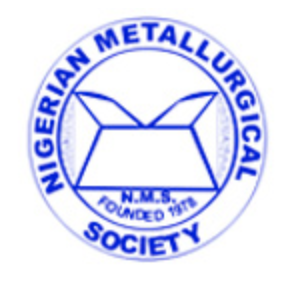 © 2018 Nigerian Metallurgical Society. All Rights Reserved.